Purchase from a handful to thousands of DISC assessments, we have an option tailored for you. You can purchase DISC assessments on a per-person basis. There is no additional charge for Pair or Team/Group Assessments. Or, pay a fixed fee for an Unlimited Use License or a Site License tailored for your specific needs. How Stressed Are Your Team Members? What is Your Country's National Stress Indicator™? What is Your Country’s National Stress Indicator™? Improve your skills and increase your marketability by becoming an Extended DISC® Certified Professional. You will become comfortable and confident in facilitating Extended DISC® sessions and making your employees more successful. We offer three DISC Certification/Train-the-trainer options: Virtual, Public, and Onsite Certification. All options have been approved for HRCI and SHRM Recertification Credits. Are some of your salespeople making excuses? The average Sales Excuse Index is 35%. Do you know your sales professionals’ Sales Excuse Index? Find out with Sales Competence Assessment and start developing a more successful sales team. I am so delighted to be affiliated with Extended DISC. I have used this amazing tool with the C-Suite in executive coaching to a foundational piece for my leadership/managerial 2 day seminar, “The Power of Positive Conflict Resolution”. The resulting profiles are comprehensive and easily tailored to fit my needs when customizing for my clients. I appreciate how responsive the staff is to my questions and needs. I look forward to a continued robust relationship! This tool is simply amazing. Extended DISC® provides our company with all of the employee and organizational development tools we need. Extended DISC® tools give me confidence in my work and certainty that my approach will get results for my clients. As a result, 90% of my work is repeat business. Riley Harvill, Ed.D., President of The HarBeck Company, Inc.
Extended DISC® has provided our team of Performance Specialists with an incredible amount of resources for our clients. The Extended DISC® assessments are easy to take by our clients and very easy to understand. Our clients learn about their communication style and more importantly how to adjust their style to better communicate with others. 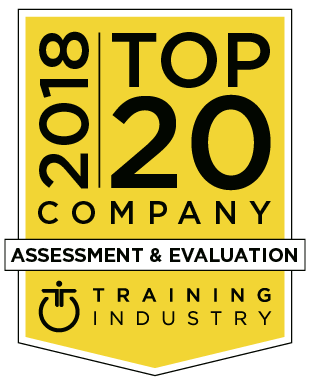 Even though there are other companies that offer similar assessments for their employees or clients, Extended DISC® has proven to be an outstanding partner in providing excellent customer service, prompt response for any need we may have and ongoing support. Anything we ask of Extended DISC® in the way of resources, customized information, or technical support has been provided immediately and always exceeds our expectations! I recommend Extended DISC® to anyone who is looking for a quality company with quality products who will assure that you are successful every inch of the way! Joan Henke-Tilton, M.S.,Performance Services Manager at Insperity, Inc.
As a Certified Behavioral Analyst, I have been using the DISC profile product for a number of years, but I have discovered with Extended DISC® a greater level of possibilities of learning and understanding for my clients. The Extended DISC® reports have given me deeper insights, which have increased my enthusiasm for using the tool not only as a behavioral profile, but also to link it to other performance related factors for my clients. I am also seeing that the Extended DISC® reports are much more accurate than any we have used previously. There are many good assessment tools on the market for use in coaching and leadership development—Extended DISC® is just more effective. Jerold V. Tucker, Principal of The Global Coaching Network, Inc. The versatility of the Extended DISC® tool to create instant reports on team dynamics and work pairs with no need for additional data input or participant surveying is another reason this is our DISC product of choice. Ashley Miles, Director of Worldwide Learning and Development at Pfizer, Inc. I was pleasantly surprised at the two days I recently spent learning Extended DISC®. I have been using DISC for about 10 years and didn’t think much could be different, but you not only proved me wrong you taught me a lot more about Extended DISC®. I love Extended DISC® because of all the variety of profiles we can do with it. I know once I get some of my clients switched over to it, I will look better in their eyes. Thanks for the great two days. Thomas R. Niesen, President of Acuity Training Systems, Inc.
Extended DISC® has become an essential component of our leadership development toolkit at the Krannert School of Management, Purdue University! Students have found insights gleaned from their use of the tool to be immediately applicable in their work with study teams and clubs. Additionally, our staff has found the unlimited student license to be of real value. It allows us to offer the Extended DISC® assessment to a wide audience of students. Finally, the Extended DISC® facilitator training was not only useful in equipping us to better utilize the tool, it was also a fantastic professional development opportunity for the staff that are now certified facilitators. The facilitator training and customer service we have received from Extended DISC® are top notch! No one can match the customer service and support that Extended DISC® provides. Ed Silva, President of Organizational Learning Solutions, Inc.
We’ve enjoyed a wonderful relationship with Extended DISC®, utilizing their robust tool set and superior customer service. In this age of assessments, we appreciate the importance of having an effective strategic partner as we integrate, interpret and communicate the assessment process to our customer base. We explored many options, but chose Extended DISC® – certainly one of the best decisions that we have made. Our field of 600 trainers will confirm that Extended DISC® ‘s customer service is far superior to any other outside relationship that we have experienced. We’re proud to be part of Extended DISC®. David Mattson, CEO & President of Sandler Training, Inc.